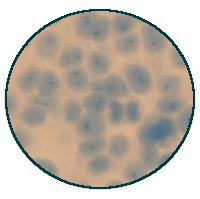 BluePoint Bioscience LLC is committed to providing the highest quality hybridoma development and antibody production contract services available. 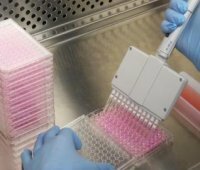 Production of hybridoma cell lines and subsequent monoclonal antibody production requires significant planning, technical expertise, and the commitment to succeed. Backed by decades of experience, our scientists have successfully proven their expertise in hybridoma development and monoclonal antibody production. Our goal is to provide clients with antibodies that perform to their expectations, and we believe that design planning and clear communication with the client is crucial to the success of the project. However, BluePoint Bioscience cannot ensure or guarantee the success of every project. BluePoint Bioscience will provide product design processes to establish the project requirements, perform systematic development and design reviews and inform the client of progress and problems. Design planning and consistent communication with the client will greatly improve the project's probability of success. Therefore, clients are encouraged to provide significant design input, design review, and participate throughout the development process. Design reviews are established so clients are able to direct go-no-go decisions and modify development processes. For complete details concerning hybridoma development and antibody production services that BluePoint Bioscience has to offer, please contact our project management team.